Meet us at IFSEC 2018! 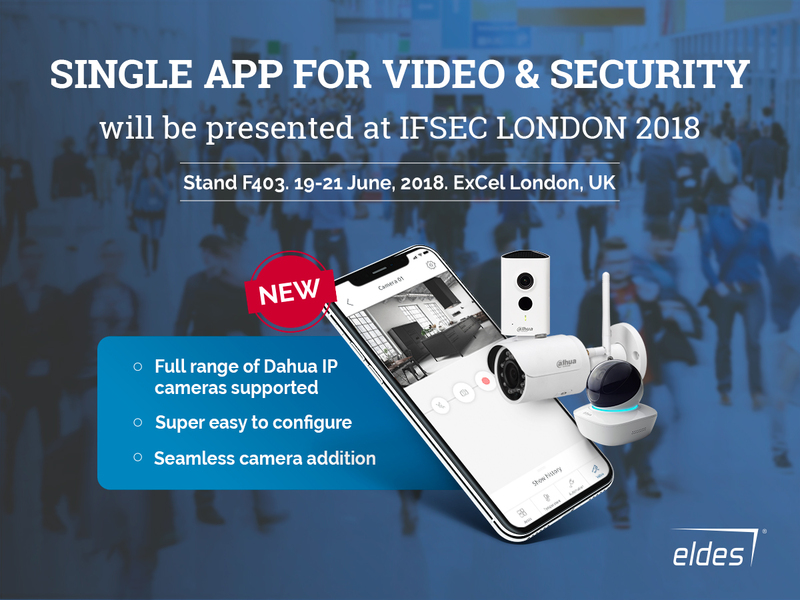 IFSEC International 2018 is just around the corner and the latest Eldes & Dahua video solution for home security will be presented live at world-wide exhibition. Meet us at Excel London, UK, booth F403, 19-21 June and test the fastest camera addition to Eldes Security app yourself. Updates on recent Eldes product development as well as best case practice sharing with the team of security experts at booth F403. Would you like to book a meeting? Drop us an email at info@eldesalarms.com and see you at IFSEC 2018 very soon!